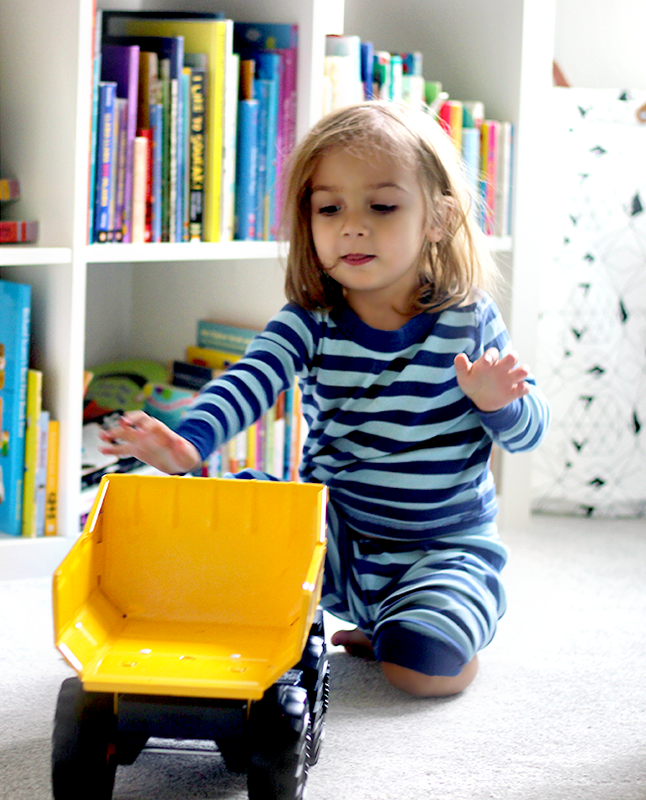 I’ve talked to you before about our two and a half year old son Emmett’s road to potty training – which at the time, I thought would be much shorter. My daughter caught the hang of it pretty quickly, but I swear Emmett thinks it’s a game where winning means refusal to even try. I could probably devote an entire post to his toilet training journey, so I’ll just stop here and get to the point of what I wanted to share with you guys today, which relates more to the nighttime part of it, and how we’ve learned (after way too many accidents) how to stop toddler overnight diaper leaks. Both of my kids had issues with their diapers leaking overnight, which was frustrating for them and for us. They were waking up in the middle of the night because of it, which was creating interrupted sleep for the entire family. We were also having to change and wash sheets several times a week or more. Not fun. Eventually, after trying all sort of different things to attempt to stop the leaks, I found some solutions that really worked. 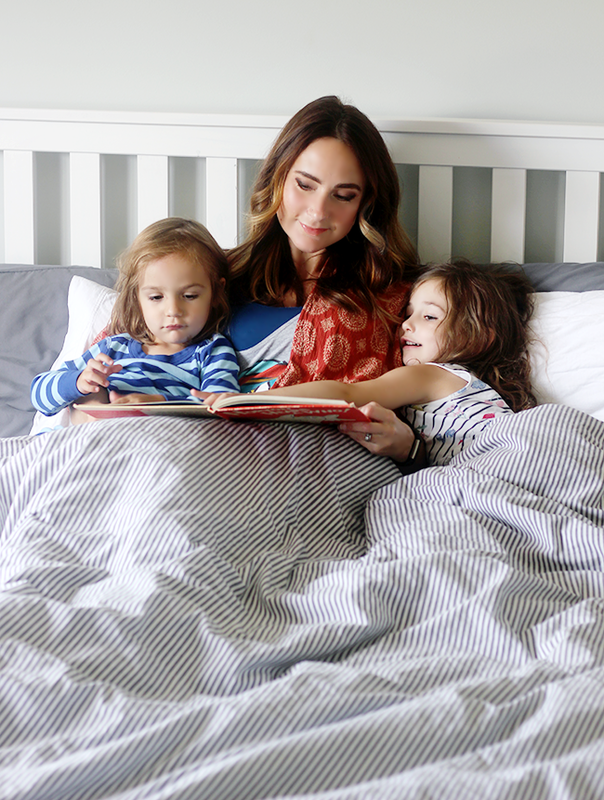 I decided to write this post after a friend of mine had become frustrated with the fact that her toddler daughter was leaking through her diaper onto the sheets almost every night, and she ended up using some of the tips we’d tried with great success. Even if you’re not toilet training and/or your little one is younger, overnight diaper leaks are a common problem. My hope is that if you’re running into the same issue, that the things that have worked for us will work for you as well! 2. Limit drinks before bed and in the night. Yes, this is common sense, but sometimes it takes a minute to learn a lesson, right? 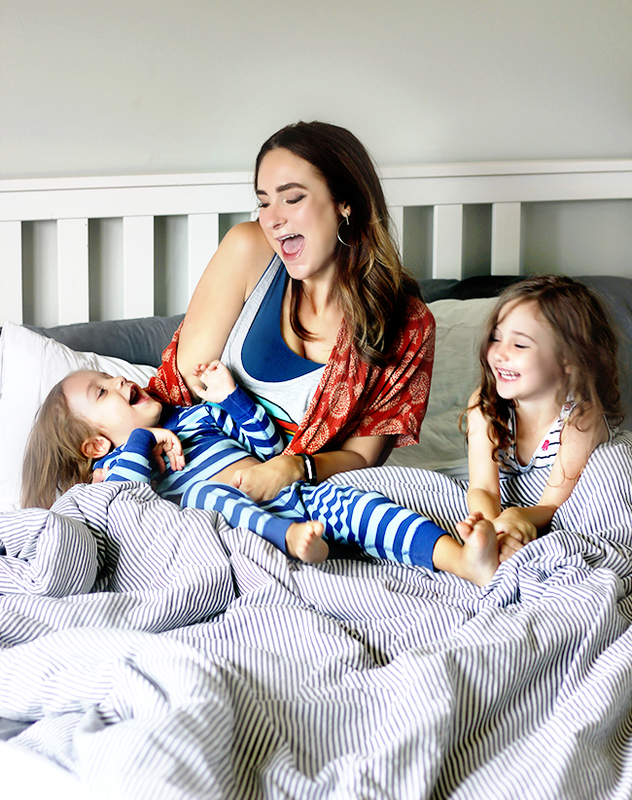 Both of my kids wake up and want water almost every night, so we used to keep sippy cups on their bedside tables – until we realized how much their overconsumption of liquids was contributing to overnight leaks. I’d read to avoid letting them drink anything for an hour before bed and to limit drinks in the night (unless they were truly thirsty, of course), and once we did that, the leaks were less frequent. 3. 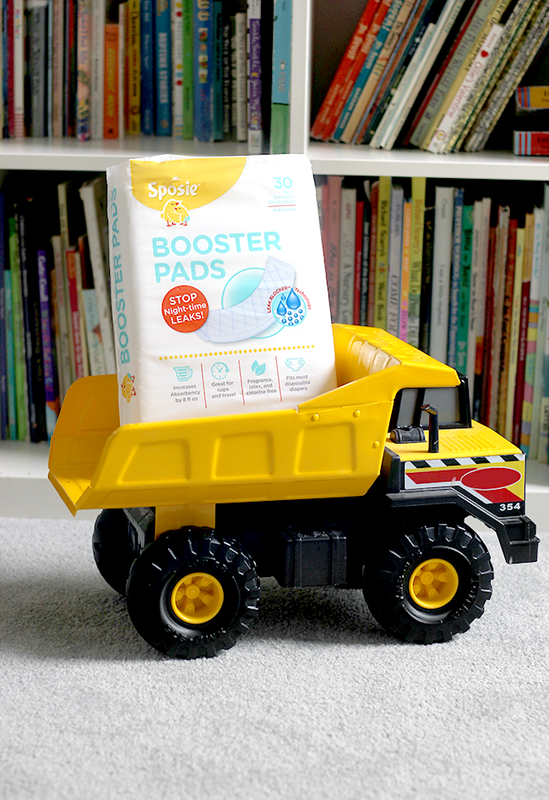 Use Sposie Diaper Booster Pads. This is the truly the best tip I can give, and the thing that has ultimately made the biggest different in ending Emmett’s overnight diaper leaks. 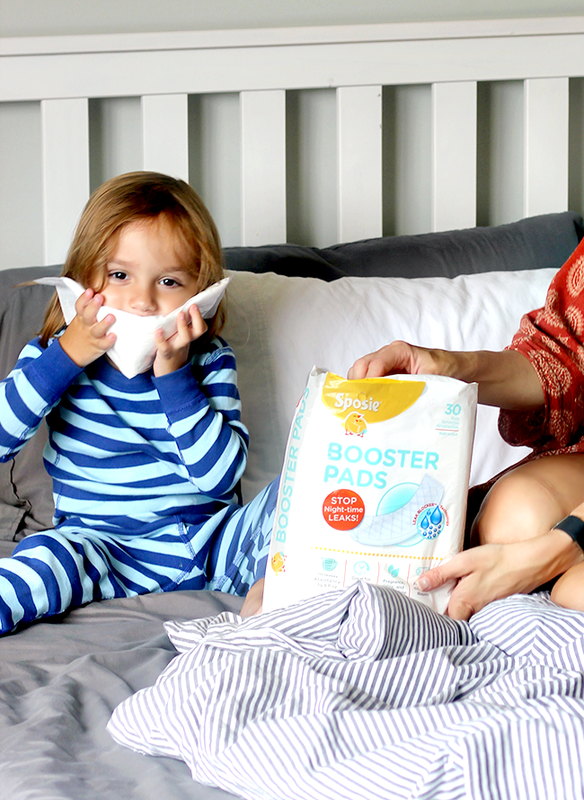 Sposie boosters are our nighttime diaper guardian angels, guys. 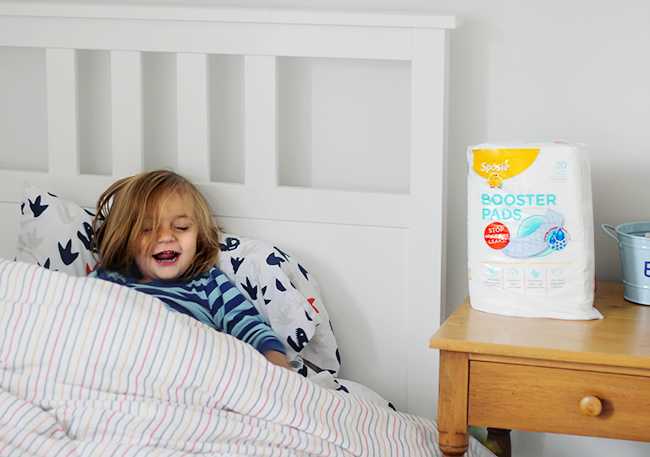 You just insert the booster flat pad into your baby or child’s disposable diaper, cloth diaper, or training pants (they work with all brands, sizes, and types!) before bed, and the capacity of the diaper is essentially doubled by adding up to 8 fluid ounces of absorbency. Brilliant, right? 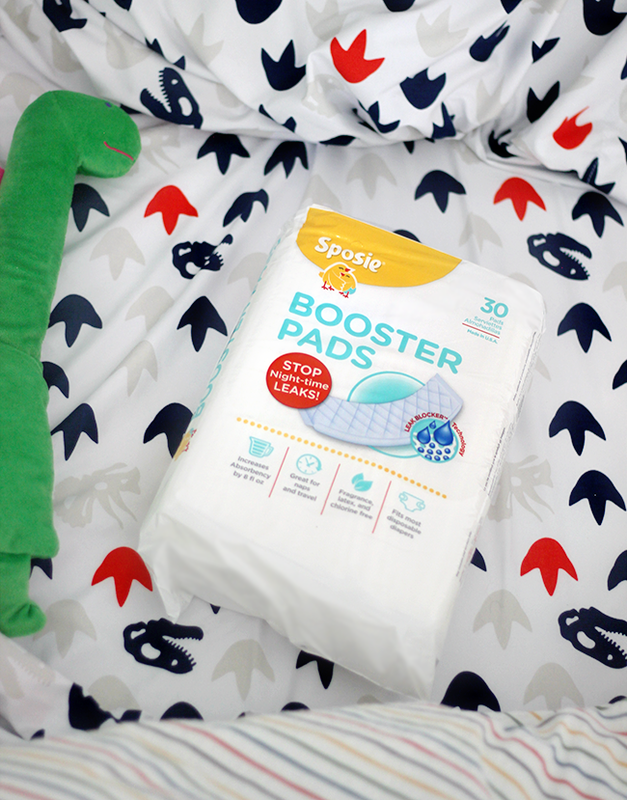 Sposie boosters also reduce irritation by wicking away moisture from your little one’s skin and creating a stay-dry barrier. They’re designed to work for both girls and boys, and we’ve used them for both with great success. I also love that they’re fragrance free, latex free, chlorine free, and made in the USA. And they’re easy to find – we’ve ordered them from Amazon and Walmart, and they’re also available online and in store at Target. (Click here for the full list of retail locations.) We also use Sposie for travel (both road trips and flights) and long naps. I highly recommend them as genuinely the best way to stop toddler (and baby) overnight diaper leaks for good. 4. Always go to the bathroom before bed. 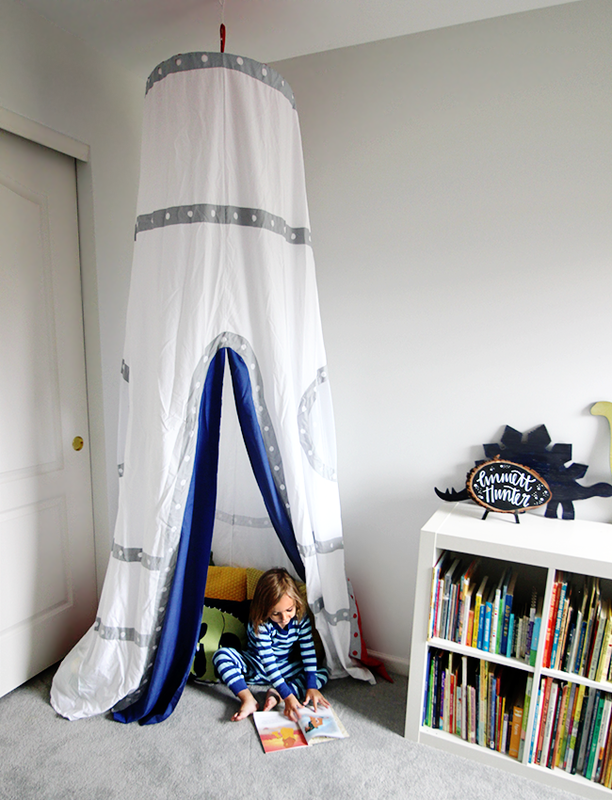 This is actually great for potty training too, and helps establish a routine where your toddler can get in the habit of using the toilet at the same time every night. 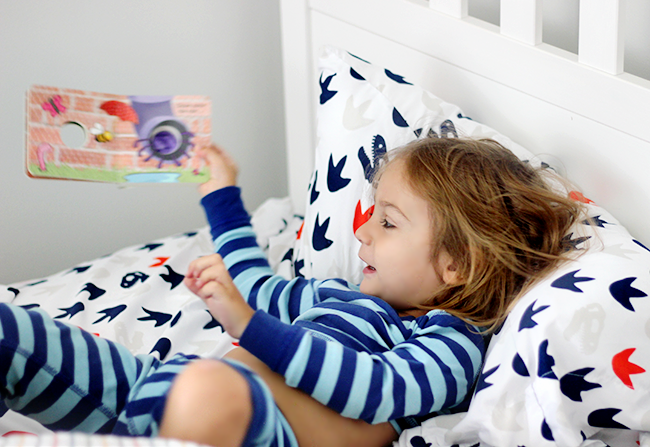 Even if your toddler doesn’t have to go, sit him or her on the toilet right before bed. Often they do have to go and don’t realize it, and this allows their bladders to be emptied so chances of an overnight diaper or training pants leak is lessened. 5. Give rewards. We have a responsibility chart on our fridge where the kids get a star every time they complete a chore or do something well. The very first item on the chart is “keep a dry overnight diaper.” If Emmett makes it through the night without going in his diaper, he gets a star. It’s amazing how motivating it is for the kids to do things when they know they’re getting rewarded! There you have it! I hope these tips prove useful to those of you dealing with toddler overnight diaper leaks like we were. And if you have any tips I might have missed, please share in the comments!